Singing Rooster helps lots of groups reach goals in Haiti — like Cherry Hills Community Church of Denver. They’re building a church in Haiti using coffee and chocolate proceeds. 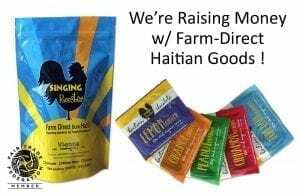 It’s a new concept — raising money while supporting Haiti’s small producers. Haitian coffee is classically Caribbean – Chocolaty sweet with mellow citrus-highlights. 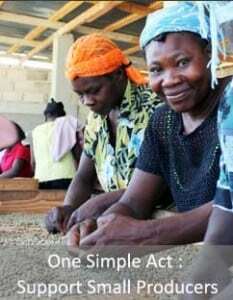 • Pledge to drink Haitian coffee for a year! Certified organic, certified fair trade: 70% Haitian dark chocolate tastes like milk. Eat Chocolate, it’ good for you, good for Haiti! $3.50 per pound for crops, AND supports farmers with technical assistance. We earn a minimum of $3.20 per bag to build our church. 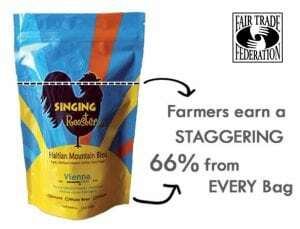 This means Haiti receives over 75% of EVERY BAG PURCHASED. You drink coffee, eat chocolate to help build a church; Farmers win BIG too! 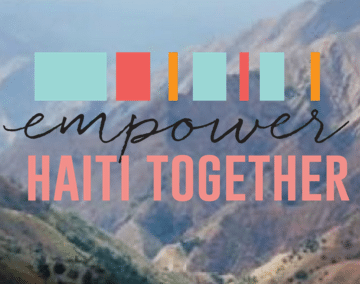 Come join us for a mission adventure to the Caribbean nation of Haiti! We’ll be completing the building and commissioning of a new church and a well in the beautiful countryside of the Central Plateau. You will experience a rockin’ Haitian worship service and witness the Imago Dei in the lives of Haitians…it will inspire your own faith experience! The new church will become a center for spiritual and community development. Our host will be Pastor Yves who runs Global Vision Citadel Ministries (http://gvcm.org/) including an orphanage, a school, and a medical clinic. We will also be helping with service projects around GVCM’s compound. For the business minded participant, CHCC’s vision is to create economy and restore or provide the dignity of jobs to our brothers and sisters in Haiti…i.e. “Teach them to fish”. Hearts 4 Haiti aspires to craft a program over the long term known as BAM (Business As Mission) through farm development, “Vacation with Purpose” and a Village Savings & Loan Association. As you feel God calling you to participate, we know He will use your time, talents and treasure, both here in Colorado and in Haiti.